FREE. More than any other word, this word gives marketing a bad name. The most recent example to cross my virtual desk was a ‘Sponsor Update’ from WebProNews, a source of huge volumes of Search Engine Optimisation information; small portions of it useful. 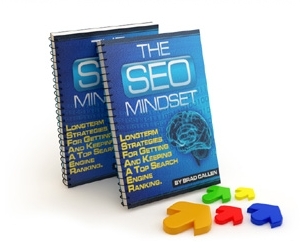 A ‘free’ offer for Brad Callen‘s book, SEO Mindset: The Real Secrets To Getting #1 Google Rankings For Whatever Keywords You Want, Whenever You Want. Also cures cancer. If you have to pay postage and handling, it’s not free Brad. If the book is free for those who pick it up in Podunk, Idaho, great. Say that it is a FREE PICK-UP in Podunk. If it’s free with an Amway Toilet Bowl Cleaner it’s a FREE WITH offer. By the way, you say that the book has a value of $97. Have you sold it to people you don’t know for $97? Because otherwise you are scamming me. You say you are offering almost $470 worth of other products also ‘totally free’. They may be fantastic value but they are not ‘totally free’. The marketing profession (American Marketing Association, Australian Marketing Institute – I’d link to them but their website doesn’t work) should delineate FREE, FREE PICK UP and FREE WITH. They should set parameters for establishing the value of a product that is not retailed. The practice of calling things free when they’re not and the practice of inventing ridiculously high values for your products should be the subject of industry attention and scorn. You make us all look bad, Brad. Check your mindset. Previous Article← Mummy, can we go to the RAC Channel 7 City of Perth?